If this region is based on France, does this mean we can finally run from trainee battles ? @generic zombie, what Possible Paradox said. Also, haha. Too soon? Cuz Notre Dame? @dshira, I don’t see how the guillotine relates to flames. So not too soon? 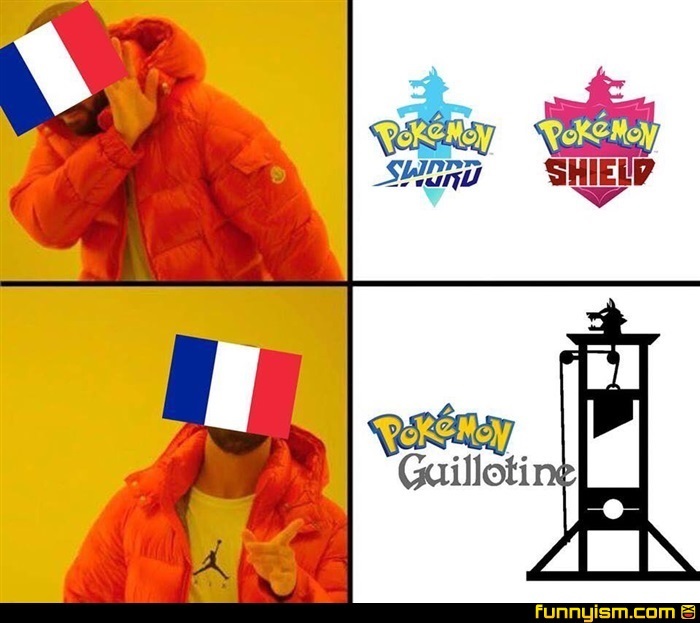 We can’t do that we already had a region based of France. I think if they did make a 3rd game for Sword and Shield like they used to, it'd likely be Pokemon Arrow to keep with the ancient weapons theme. And Pokemon Bow sounds ridiculous. Funny, but ridiculous.